The growth of ICT in the last two decades has been spectacular and historic in the world. IT industry has changed the entire set-up and altered thought processes. 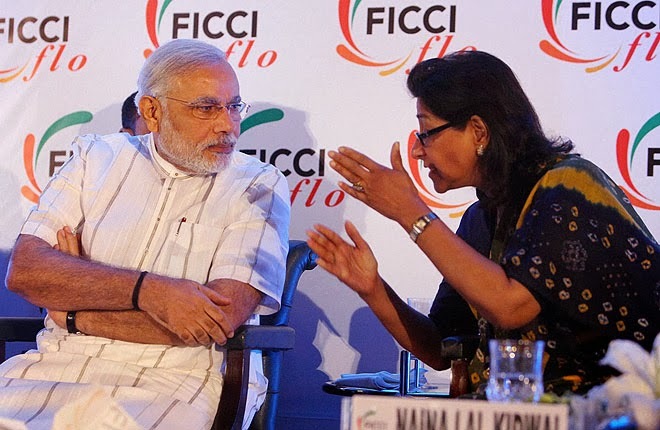 I believe in the Mantra of ‘IT+IT=IT' (Information Technology+ Indian Talent= India Tomorrow). My vision for IT sector is that it develops the capacity and capability to become the engine of innovation and the driver of growth in the years to come. I see the IT industry as an engine for making India the knowledge superpower and an agent of change that touches lives of the poorest of the poor, for their empowerment. The IT sector has become the shining beacon of brand India globally. We need to build up our strengths and effectively leverage our talent pool at home. We need to work to create an atmosphere whereby India becomes the home of the next Apple, Google, Facebook, Twitter and Amazon! We have the talent, what we need to work on is providing the right opportunities, infrastructure and groom our people. With a policy driven and result oriented approach, I see no reason why India cannot become the next hub of Cloud Infrastructure. We would need to think out of the box on whether there are synergies and opportunities to co-locate Non-Conventional Energy Projects and Massive Data Centres in areas where there is little scope for agriculture or manufacturing. Here too IT plays a crucial role. As for our Telecom Industry, a lot has been done but we can do a lot more. Mobile phones are no longer a luxury but they are an inseparable part of our lives. Today it is not a question of whether one owns a mobile phone or not, it is about whether we can use this mobile phone to bring a difference in the lives of the common people. We have heard of e-governance but now is the time to move towards m-governance (Mobile governance). M-governance involves greater application of ICT for furthering good governance, moving a step beyond e-governance. Can we think of a system where one mobile can solve maximum problems of the people? The role of the Internet is paramount now. We need to think of a future where every home and office has a fibre coming and High Speed Data access becomes a basic utility, much like electricity, water and telephones. In order to see a thriving manufacturing sector we would need to make hubs where both labour and infrastructure are not a problem. We can think of innovative ways to encourage such hubs and incentives that draw big names to come to India. We will need to nurture highly trained people and give them the right environment where they can grow. Emphasis on R&D and IPR creation is also the need of the hour. Another thing we can do is to set up skill centres in collaboration with the telecom majors that cater to the skills that are required to surge ahead in telecom manufacturing. At the Government level, we will need to ensure that we can provide seamless supply of power, water and other required infrastructure. 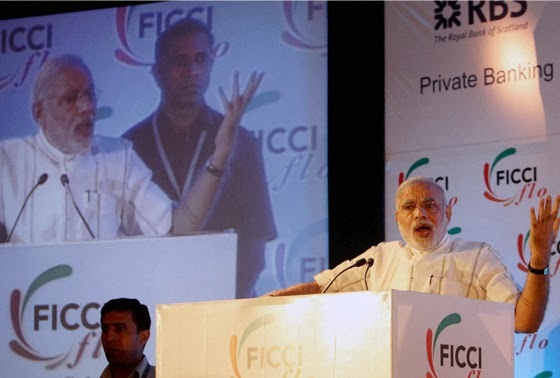 Long and stable tax regimes are vital to attract companies, both Indian and international. E-Governance for me is ‘Easy, Effective and Economical Governance.' E-Governance has the potential to become the greatest problem solver for the people. It is one of the most positive application of technology that has the potential to transform governance and service delivery. In order to achieve the desired goal of ‘Minimum Government and Maximum Governance' I see an increasingly important role for E-Governance. Along with reform, we need to increase the scope of E-Governance across the Nation. We need to ensure that E-Governance application of the various states are effectively integrated. More importantly, technology and E-Governance are our strongest weapons to fight corruption. Thus, we need to increase the use of technology within citizen-government interface to completely eliminate avenues for any kind of malafide discretion or corruption. From our Gujarat experience I can give you several examples of E-Governance. One of the most satisfying initiatives is to take broadband connectivity to all our villages. This has enabled us to provide citizen centric services at the doorstep of our rural population. Through satellite infrastructure we are able to provide quality long distance education to our schools. A student sitting in a village can learn from world-class faculty. Is this not real empowerment! Take another example of rural BPOs. They have the capacity to empower youth in rural areas and if done on a large scale, it can prevent migration from villages to cities. This was a significant lesson- give our rural youth the right facilities and they will always stay in the villages and taste the fruits of development. Social media has become the defining feature of this century! This medium has revolutionized communication and dissemination of news ad views. Social media will always be remembered and rightfully celebrated as the medium that empowered the common man and woman to express themselves! It has opened the floodgates of expression and communication. Personally, I have been active on social media for over five years now and my interactions on social media have always been enriching, rewarding and very satisfying. Just recently, we launched a volunteer platform www.India272.com where, among other features there is an option for volunteer sourcing. I was simply amazed by the clarity and depth of ideas I received from volunteers. Social media has brought the ocean of knowledge and creativity that existed among out people on the forefront and this is a welcome sign. Be it social media or any other media, I would like to categorically state that I am totally against any form of policing or censorship. Let every shade of opinion shine and grow in our Nation. Infact, criticism is also an integral part of our democracy. In 2012 when the Centre unilaterally censored a few handles on social media, I darkened my Twitter display picture in solidarity with the spirit of free speech. To take inspiration from Voltaire, I will say, We need not have to agree with what everyone is saying but we must defend their right to say it. It is possible that a miniscule minority of people may misuse social media and conversations may get extremely heated and personal. The answer lies in self-restraint not in censorship. Our culture has history of respecting others' viewpoints and I feel we should follow the same on social media as well. Dell has hired Anand Sankaran, senior vice president of Wipro's Global Infrastructure Services business and appointed him as its new president and global head of Dell Services' Infrastructure and Cloud Computing line of business. He succeeds Kevin Jones, who moved into the recently created chief customer and sales officer role within Dell Services. 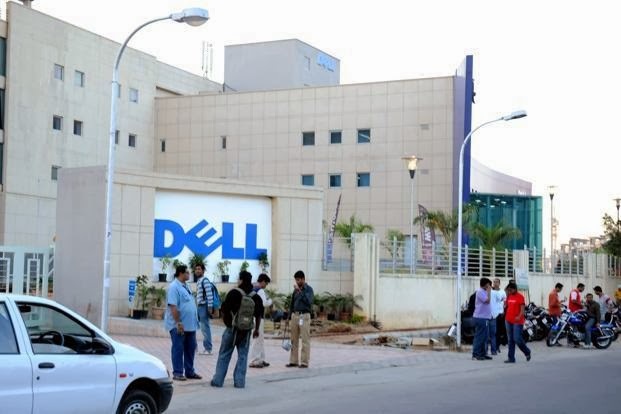 Sankaran will be based in Bangalore and will be reporting to Suresh Vaswani, president of Dell Services. According to a Dell relese, Sankaran will lead a global team of nearly 10,000 employees responsible for driving infrastructure consulting and delivery, managed services and services related to the company's Cloud offerings. Sankaran was formerly senior vice president of Wipro's Global Infrastructure Services business as well as head of Wipro Infotech, their India and Middle East business. 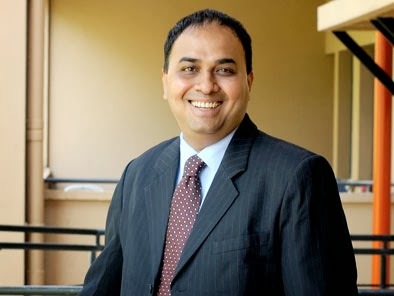 He previously held a variety of Wipro management positions after joining the company in 1989. Aimed at the fast growing Indian cell phone market, Hewlett-Packard has announced a new line of innovative “voice tablets” with 6-inch and 7-inch screens, which would be exclusively launched in India next month. Built on Android operating system and featuring the powerful Quad Core processor, the HP Slate6 and HP Slate7 are engineered for the way people multitask, while offering access to entertainment. Both devices come equipped with a 3G(3) Dual SIM Dual Standby feature, providing voice connectivity and performance that allows people to work and play on the go, the company said. It will also have front and rear cameras. “Consumers are looking to consolidate their phones and tablets, which is propelling the voice tablet market,” said Ron Coughlin, senior vice-president, Consumer Personal Systems Group, HP. 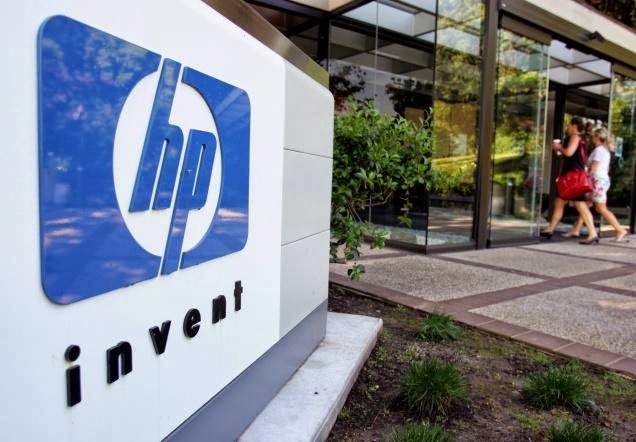 “This is an exciting new category that represents a meaningful growth opportunity for HP. 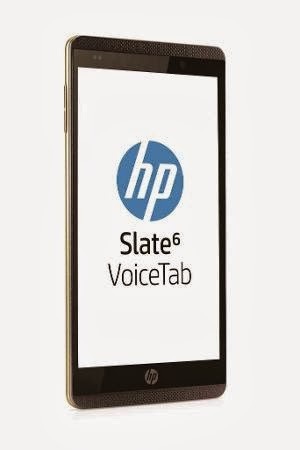 Our HP Slate VoiceTab provides consumers with a high-quality product at a great value,” he said on Wednesday. According to The Washington Post, big-screen devices with calling capability have been particularly popular in Asia and Europe, where they appealed to early waves of consumers who were interested in tablets, but not in carting around two devices — particularly on the long train commutes that are more common in those regions than in the United States. “But ‘phablets’, as these phone-tablet hybrids are so often called, are steadily gaining ground here, as well, as people use their phones more for watching video and surfing the Web than making calls,” the daily said.